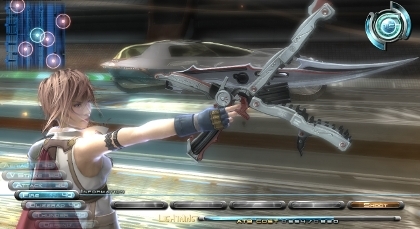 Will FFXIII bring the JRPG back in the West? Final Fantasy is back in the headlines, but is it the last and best of a dying breed? The eagle has officially landed. Final Fantasy XIII dragged in its first review this week, earning a highly commendable 39/40 from Famitsu Magazine. Will those accolades translate into towering sales figures in the land of the rising sun? Definitely. Will the game see similar success when it hits Europe and North America? Probably. But will the Japanese role-playing genre at large get a boost in the process? Will it ride back to relevance in the West on Square Enix’s coat-tails? The jury, as they say, is still out. 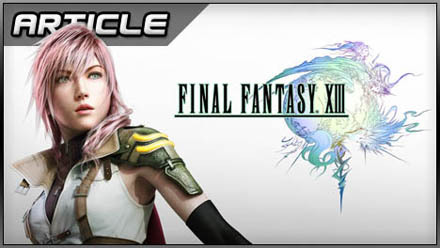 No it won’t, because XIII has reverted to the franchise’s deplorable sensationalist roots. Whatever you might think of it, Final Fantasy XII told a new kind of story. Final Fantasy XIII, on the other hand, is trying to turn back the clock to the glory days of Final Fantasy VII, out of whose long, spiky-haired shadow the mighty Square Enix (to say nothing of its competitors) has never managed to crawl. Rather than naturalistic psychological sketches, the new cast is comprised of loudly dressed, spotlight-friendly tragedians bent double under existential dilemmas so catastrophic they make those retina-charring cut scenes feel delicate. Disciples of the old skool will welcome this turnaround, but Joe Average will find the cast too garish, too opulent, too lacking in small detail to engage. At the end of the day it’s the little things that make a great character, the tiny mannerisms or turns of phrase that bring him or her to life. With Final Fantasy XIII, the portrayals are overweening, the passions and sentiments too enormous to elicit empathy. Similar reasoning applies to the environments: they’re too bombastically fantastical to suspend your disbelief. Sword? Gun? Pair of crocodile scissors? Make your mind up, Lightning. Final Fantasies have always been over-wrought – even the sober XII had its wacky moments, as a glance at Fran’s attire will tell you – but that excess is a relative thing, indicative as much of the thematic tedium of competing games as Square Enix’s taste for melodrama. Sure, the characters are bold, brash. Sure, the script doesn’t mince its words. Sure, the settings mash together architectural styles, colours, pop culture, technological eras and historical artefacts. But consider the alternatives. Greyscale, square-cut military shooters. Carbon-copied GI heroes. D&D rip-offs painted alternate shades of muck-brown and hitpoint-red. Even “realistic” games like Heavy Rain, the kind of games you’re doubtless referring to when you talk about finer details, can be wearisome. Sometimes we – yes, even we boring old post-Freudian, rationalist, anti-sentimental Westerners – need a little gaudiness. Sometimes we need to hear somebody climb a podium and hold forth on the importance of Knowing Yourself, or Putting Others’ Interests First. Sometimes we need to see a giantess in flaming armour transform into an art nouveau muscle car. 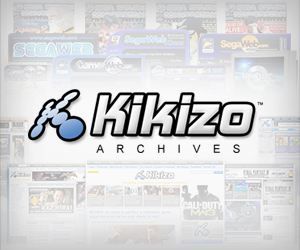 Posted in Features, Spotlight, and tagged with editorial, feature, Japanese role-playing game, JRPG, opinion, Square Enix. I think it has a chance to sell a lot of units as it’s going to be heavily marketed. But, you can see by looking at the videos of missions Japanese players have loaded up that it certainly won’t revitalise the genre, or take things forward (if anything it looks a step back from 12). Also, while the art style is beautiful, and in places it does look rather nice..videos of the characters running across the field show up a not so nice feature – monsters popping into view not very far in front of the player, such issues shouldn’t really be there in a game that’s cost so much to produce. So…it’ll shift a lot of units as PS3 and 360 owners show Square where the money is (clever Square), but it’ll be a false dawn imo.